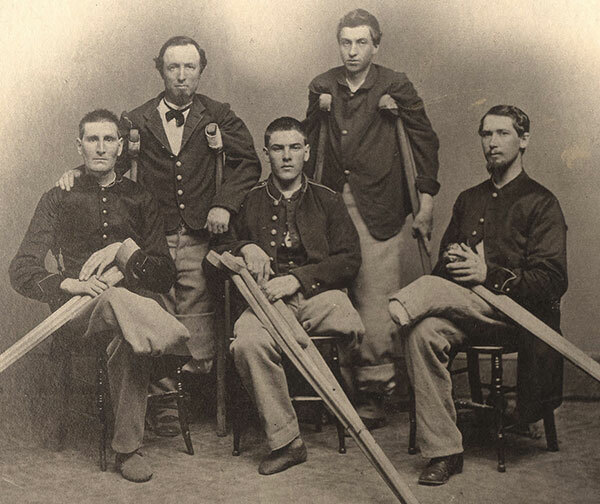 A traveling exhibit that explores the history of amputations endured by injured soldiers - an important, albeit difficult to discuss, aspect of the U.S. Civil War - is coming to the Middle Georgia State University library on the Macon Campus. "Life and Limb: The Toll of the American Civil War," a National Library of Medicine exhibit, will be on display at MGA's Macon Campus library from Tuesday, Jan. 17, through Saturday, Feb. 25. The exhibit is free and open to the public. The library's regular operating hours are 7:30 a.m. to 10 p.m. Monday through Thursday, 7:30 a.m. to noon Friday and 1 to 7 p.m. Sunday. From the U.S. National Library of Medicine website: "Although the exact number is not known, approximately 60,000 surgeries, about three quarters of all of the operations performed during the war, were amputations. Although seemingly drastic, the operation was intended to prevent deadly complications such as gangrene. Sometimes undertaken without anesthesia, and in some cases leaving the patient with painful sensations in the severed nerves, the removal of a limb was widely feared by soldiers." For more information, see https://www.nlm.nih.gov/exhibition/lifeandlimb/index.html or contact Dr. Niels Eichhorn, assistant professor of History, at niels.eichhorn@mga.edu or Felicia Haywood, assistant director of Library Services, at felicia.haywood@mga.edu. Campus map and directions: http://www.mga.edu/about/maps.aspx.